It even came with 3 "fancy candles", which of course we used. And it was as delicious as always! There's even a little bit left to finish off tonight. But right now it's time to batten down the hatches for this blizzard that is supposed to be here any moment. Stay warm! That's the little one, the big one is here. 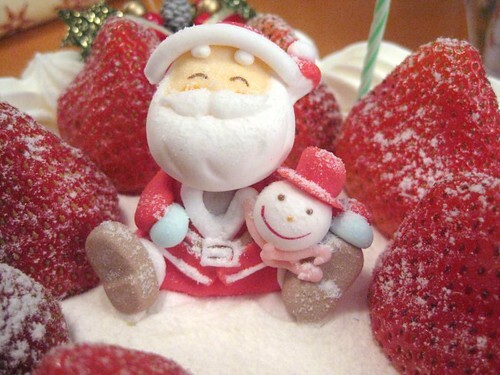 He's not as cute because he baked longer and isn't so red. 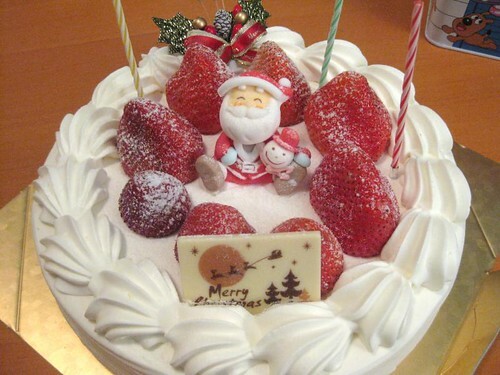 But still, cute xmas dala cake! The pans really are non-stick, I was impressed. I may have to get more bakeware from IKEA in the future. 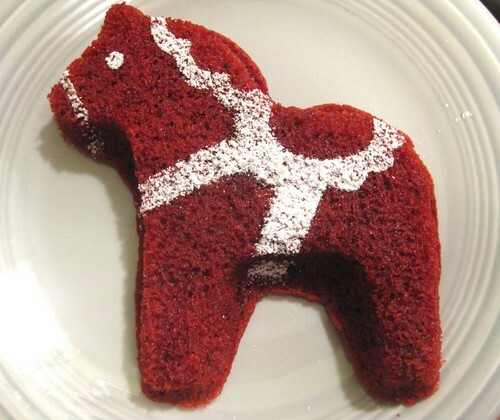 The design I made by cutting a stencil from typing paper based on the allsorts dala horse, putting it right on the cake (not reusable, obviously!) and sprinkling the sugar over it. Emily looooves them, and I think they will be reappearing all this month. I only wish they had a set of little pans to make lots of individual horses!